Use a high quality doctor blade with dimensions suitable for your ink and anilox type. Check your doctor blade chamber/holder so it is straight, clean and without damages, especially in the clamping area. If screws/bolts are used for clamping; make sure all screws/bolts are present and that threads are in good condition both on screw/bolt and in chamber/holder. 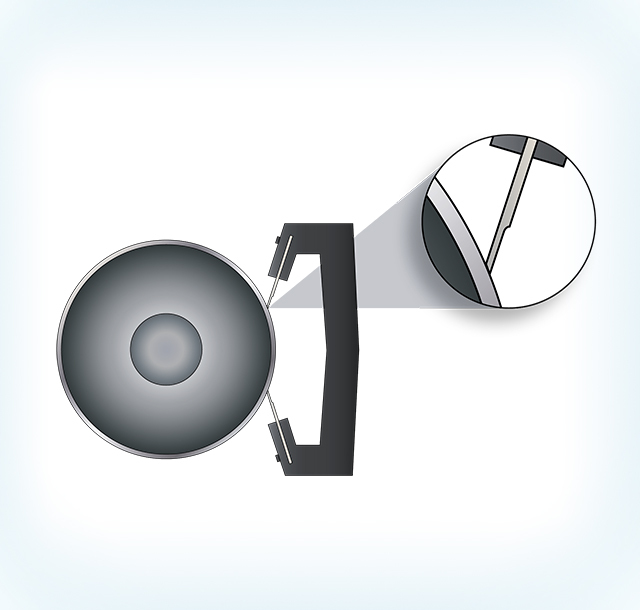 Make sure the doctor blade is mounted straight and that no waviness in the blade is observed. If a chamber with end seals is used, let the doctor blade length reach 70-80% onto the seal width. When screws/bolts are used for clamping chamber/holder, tighten from center and out crosswise. Check so doctor blade extensions are correct. Examine doctor blade edge for nicks by lightly running your finger nail along the blade edge. Be careful, it’s sharp! Attach the doctor blade chamber/holder securely to machine. Check so your anilox roll is clean and in good condition. 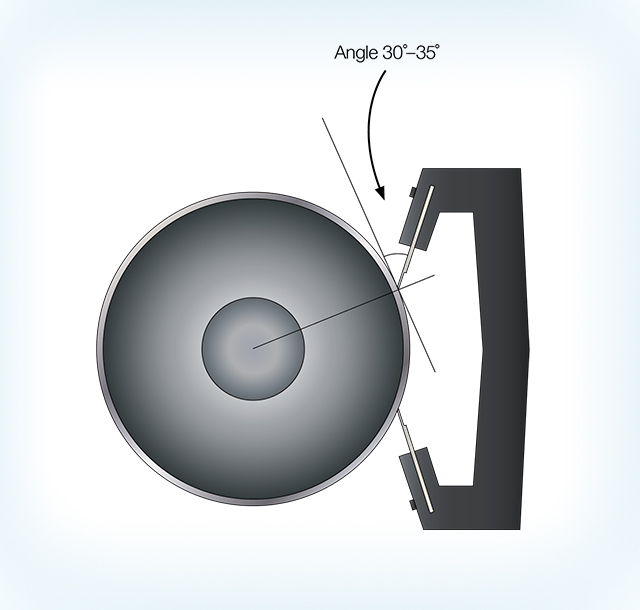 Make sure chamber is aligned to anilox roll, both vertically and horizontally. Apply lowest chamber/holder pressure needed (less doctor blade flex and blade/anilox wear). Only press so chamber doesn’t leak and doctor blade wipe correctly at production speed.